Born in 1966 in Paris, Patrick Tourneboeuf is the co-founder of the Tendance Floue group, created in 1991. He works on the meticulous observation of common places, their light and practically intangible fingerprints, aged by time. Many are his study topics, but all are praised for their subtle and considered perception of the relationship existing between the humans and the environment. From the 1990s, he has been carrying out a study of the common elements found in the urban areas, through the series titled Périphérique and Nulle Part. His photographic approach aims at tracking the human presence on sites that are connected with History. Several photographic series also reflect upon our places of remembrance and past scars, including the series titled La Cicatrice, in the footsteps of the Berlin Wall and the D-Day memory, on the landing beaches. Patrick Tourneboeuf fulfils simultaneous requirements coming from public institutions such as the Grand Palais, the Palace of Versailles or the Théâtre national de l’Odéon. 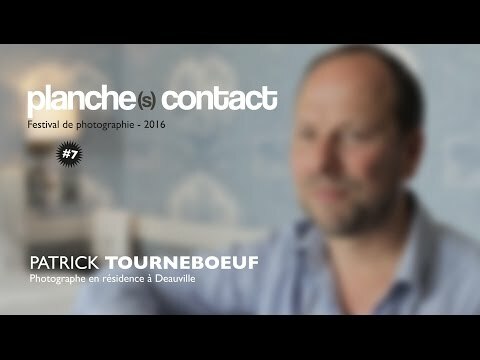 Patrick Tourneboeuf is invited to Deauville to explore the Normandy hotel, in keeping with his series called Monumental, capturing remembrance places.